Our final set for this month was designed by our AMAZING owner, Jessica Knutsen. This gorgeous tree with heart shaped leaves is perfect for not only telling someone you love them, but for saying thanks from the bottom of your heart. It could be used for so much more, too!! 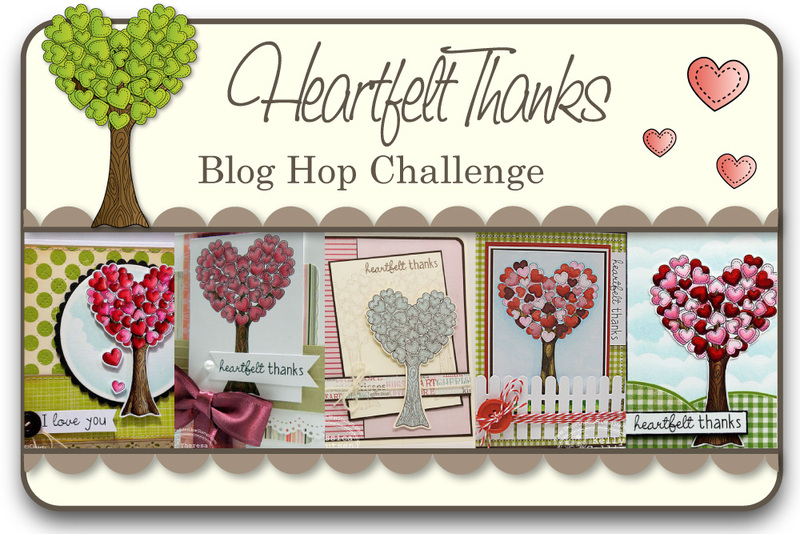 Would you like to win the new Heartfelt Thanks Stamp Set? Here is what you need to do- visit the Trendsetter’s blogs that are participating in each of the blog hop challenges below and comment on their creations as you go. One of the Trendsetter’s blogs (from each hop day) will be randomly chosen as the ‘it’ blog and a winner will be picked using a random number generator from the comments left on that Trendsetter’s Blog Hop Challenge post. Gorgeous card! I love the papers and your coloring is so pretty. Really gorgeous Angela - I love that tree! Beautiful card. Love your coloring of this image. Lovely stamp! I like the way you colored the hearts...! What a stunning card and I love the layout of your card and the colors. Very nice take on the sketch...love the use of twine for the horizontal element of the sketch. This tree doesn't need anything else, you've showed us that! Very nice Angela. Your choice of dark background really makes your love tree pop. Very cute--I like your coloring and the papers and the twine/button. Gorgeous colors and great design...I'm really lovin this Tree of Hearts! I love your colours Angela!!! Great card! Love that sweet tree design! Beautiful colors! Gorgeous stamp, love it. love the twine and button. That tree image is just too cute!!! And so versatile too!!! Darling creation!!! 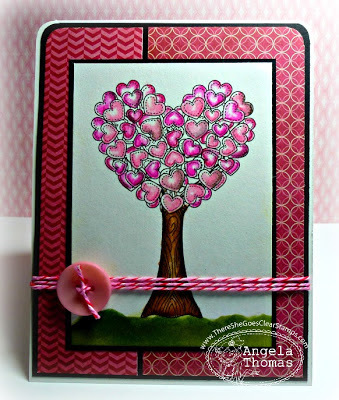 Gorgeous Heart Tree card for Valentine's Day. What a delightful card! Love the bright Valentine's colors! 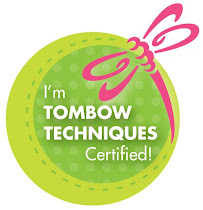 love your coloring and the fabulous design and dp you used. Very cute, love the button. Great stamp, and the cards are all amazing. Amazing card - beautiful colouring and wonderful design.